Lazing with Montaigne on the couch (aka livin' the dream). If you read my previous post or know anything about Montaigne, you know he's written about a ton of different subjects. I decided to get a taste for his writing with his essay about books, aptly titled "On books." After all, could he have chosen a more appropriate subject? You can read it for free on Project Gutenberg, though the translation from the French is rougher. Off the bat, I noticed that Montaigne would have made an awesome blogger. He doesn't claim to know anything (basically the point of all his written work, ever) but is rather writing to try to make sense of himself through the lens of his experience, however imperfectly. That's a pretty good definition of blogging, at least to me. Really, I ought to take his advice. I stick with some confusing passages, as well as some duds of books, for way too long. One place Montaigne and I diverge in thought (oh, the horror!) is his preference for beautiful prose above subject matter. While I do appreciate eloquent writing, I need some substance behind it. Otherwise, I get lost and lose track of why I'm reading it in the first place. Finally, at the end of the piece, he reveals that he writes in his books. I see this as yet another reason for me to get over my irrational aversion to doing it myself. 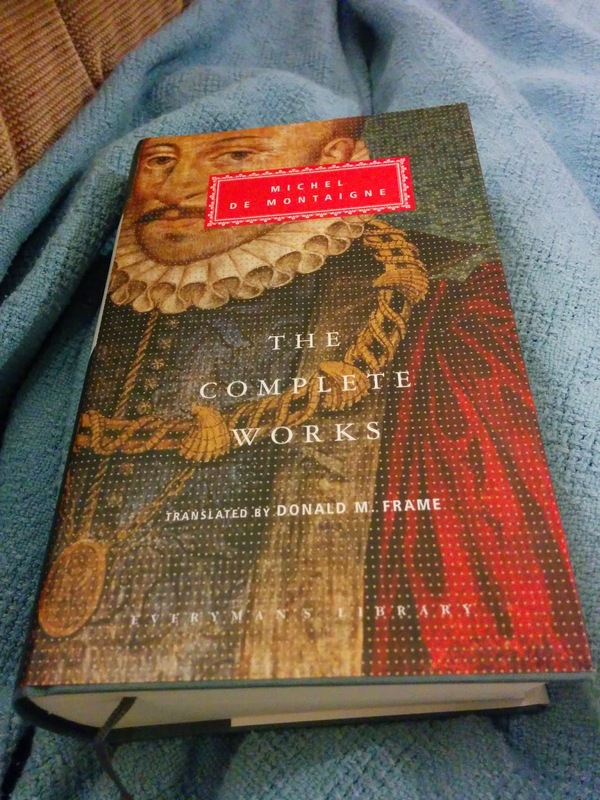 In all, this was a great way to introduce myself to Montaigne's work. I definitely see why people find him so accessible, even roughly half a millennium after he wrote his essays. Have any of you read any Montaigne? What did you think?